Providing information about our credit union, the services, and products we have available to our members. We collect nonpublic information about you from some or all of the following: Information we receive from you on applications or other forms; information about your transactions with us, our affiliates, or others; and information we receive from a consumer reporting agency. We restrict access to nonpublic information about you to those employees who need to know that information to provide products or services to you. 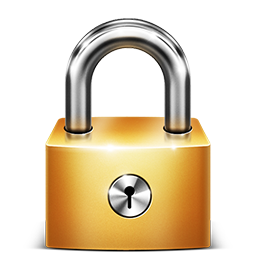 We maintain physical, electronic and procedural safeguards that comply with Federal regulations to guard your nonpublic information. As a member of the credit union, you also have a responsibility to safeguard your financial information. Protect your account numbers. Use caution when disclosing your account numbers, social security numbers, etc. to other persons. Keep your information with us current. If your address or phone number changes, please let us know. If you have any questions regarding this notice, please contact us at (412) 359-3141 or by email at CreditUnionGroup@ahn.org. Thank you. Credit given by AHSEFCU to you with respect to an automated clearing house credit entry is provisional until AHSEFCU receives final settlement for such entry through a Federal Reserve Bank. If AHSEFCU does not receive such final settlement, you are hereby notified and agree that AHSEFCU are entitled to a refund of the amount credited to you in connection with such entry, and the party making payment to you via such entry (i.e. the originator of the entry) shall not be deemed to have paid you in the amount of such entry. Under the operating rules of the National Automated Clearing House Association, which are applicable to ACH transactions involving your account, AHSEFCU is not required to give next day notice to you of receipt of an ACH item and AHSEFCU will not do so. However, AHSEFCU will continue to notify you of the receipt of payments in the periodic statements we provide to you. AHSEFCU may accept on your behalf payments to your account which have been transmitted through one or more Automated Clearing Houses [ACH] and which are not subject to the Electronic Fund Transfer Act and your rights and obligations with respect to such payments shall be construed in accordance with and governed by the laws of the state of Pennsylvania as provided by the operating rules of the National Automated Clearing House Association, which are applicable to ACH transactions involving a your account. Allegheny Health Services Employees F.C.U.